A spring is an important part of a garage door opener system. If it is not working properly it can be dangerous. A spring is also the most common part of a garage door opener to breakdown. It holds the most tension and is responsible for carrying the brunt of the load. 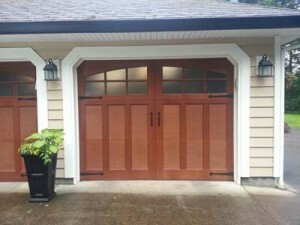 At Coast to Coast Garage Doors our technicians are trained, experienced experts in garage door spring replacement and broken garage door springs in Vancouver WA. Because garage springs have such a heavy role to play in safely opening and closing a garage door, it is imperative that they be installed and repaired by a garage door professional. When a spring needs to be adjusted to improve its performance it needs to be done in exact measurements. Our experienced garage door technicians have the know-how and the equipment to get garage door spring repair done right every time. When a broken garage door spring is beyond repair it will need to be replaced. This also takes detailed knowledge and experience. It is not something that should be done without the help of a garage door technician. 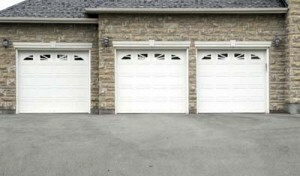 Each garage door has a specific weight load and needs to be matched with the right spring. Likewise, if it is not installed correctly the spring could fail, causing the garage door to fall. That is why it is important to have broken garage door springs replaced by a professional. Our large selection of springs allows us to get broken garage door springs replaced quickly. No need to wait while we order parts. Having been in business at our current location since 2009, Coast to Coast Garage Doors has gained a reputation as the garage door spring replacement specialists people trust. Many of our customers come from referrals, and our business has largely grown due to customer satisfaction. As a locally owned and operated business we care about our Vancouver WA neighbors. That is why our friendly technicians take pride in keeping to the agreed upon schedule, offering fair pricing, and doing each job like it was for our own home. Call today >> for a free, no pressure estimate. We are here to answer all your garage door opener questions. We hope to see you soon! In the meantime please fill out the form provided and a representative will get back to you as soon as possible, or call (360) 616-1545.